NCL Cruise Line - Our favorite cruise line - Freestyle at it's best! 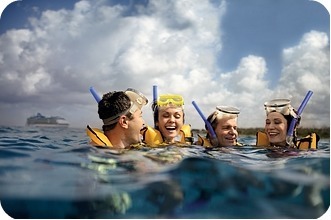 Norwegian Cruise Lines offers a wide variety of itineraries, shore excursions and ships to choose from. NCL have designed unique itineraries and are designing and building new ships. The new Norwegian Epic was commissioned in France. She set sail on her inaugural cruise in May of 2010. This contemporary ship is the largest in the fleet at 153,000 gross tons with 19 decks, more balcony cabins and carries 4,200 passengers. It is the most innovative in freestyle cruising to date. 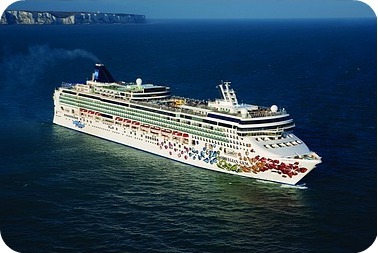 The Breakaway is the first of 2 new ships for Norwegian Cruise Lines. The Breakaway will launch in April of 2013. The Getaway will launch in April of 2014. 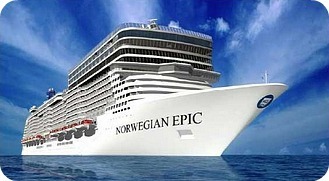 They are looking to combine the best of the Jewel Class ships with the Norwegian Epic. These new ships will be about 150,000 tons and feature a Haven complex for suite passengers. 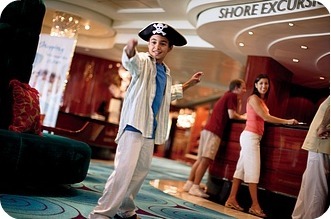 NCL Cruise Line Ships are the youngest fleet on the planet. All the ships have been designed with the freestyle cruising concept. You can choose to live it up in a Courtyard Suite, Owners Suite or Garden Villa Suite. Or you can choose a more modest balcony or inside cabin. NCL takes freestyle all the way to the cabin you can choose. The ship layouts are easy to get around and the signs are plentiful. You can even choose a ship based on size if you like. You can choose a smaller ship like the Majesty or the largest NCL ship on the water the Epic. Or the next largest ship size (our favorite) like the Gem or the Jewel. Chances are, whatever itinerary you are looking for they will have. I am sure that they will eventually include Asia and Australia. Teens have activities and a club of their own. Ages 13 - 17 have pool parties, volleyball, basketball and other teen type activities. They also have teen discos and themed parties to get teens to meet each other and enjoy the things they would enjoy. 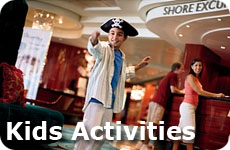 NCL also features Nickelodeon Entertainment on the new Norwegian Epic and the Norwegian Jewel. Some of the activities will include meet and greets and story hours with characters like Dora the Explorer and SpongeBob Squarepants. 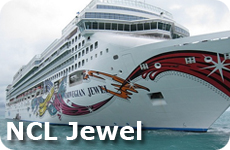 See a detailed account of our trip on the Norwegian Jewel, and loads of information about the NCL Jewel. 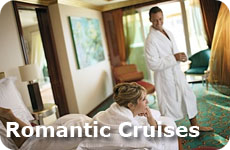 See our first cruise and the Owners Suite on the Norwegian Dawn.